Did you know that with the right tools, turning your WordPress website content into an eBook is very straightforward? In this article, we’ll be looking at some of the best WordPress eBook plugins, as well as some of the reasons why you might want to convert your posts and pages into a separate document, and how you can deliver and distribute your eBooks. EBooks come in many shapes and sizes, from single page PDF documents, through to epic novels in the e-reader friendly in EPUB format. EBooks can be used to reward your audience for completing an action, help market your brand, and even become a source of income in their own right. Just as WordPress has democratized online publishing, eBooks and e-reader devices have certainly played a large part in opening up the world of offline publishing to a much wider audience. So, if you want to know more about creating eBooks, whether from scratch or by converting your existing content into a single document, these WordPress eBook plugins and tips will provide you with the technology you need to get started, as well as some advice on getting your eBooks into the hands of your audience. Whether it’s publishing an eBook from scratch or converting your existing blog posts and articles into an easily downloadable format, there are many good reasons why you should think about creating one. Having a published eBook can add credibility to your brand, even if it’s a self-published book listed on Amazon’s Kindle marketplace. Not only can you point to the published resource as an indication of your authority, but it’s also an easy way for prospective clients and customers to find out more about your philosophy before signing up to work with you. By showcasing your expertise and skills in an eBook, whether that’s through the advice you publish, or simply by demonstrating your writing abilities, an eBook can become a source of referrals that has a life of its own. In short, a published eBook is another way that your target audience can find you while also offering a low-cost way they can learn from you. However, eBooks have so much more to offer. As eBooks can take many forms, let’s look at the options available to you and the benefits of each one. If your writing is proving popular then your audience might appreciate being able to download an eBook of your best content. In whatever way you choose to distribute the eBook, whether freely or for a price, it can be a great way to give your visitors more of what they want, while also increasing the exposure of your brand. If there really is an audience for your content, then each time your eBook is downloaded or shared, more people will discover your work and hopefully find their way back to your website. Depending on your industry or niche, eBooks can become an integral part of your content marketing strategy, helping to strengthen your brand, grow your audience, and increase your credibility. Although the number of mobile internet users is growing, full network coverage isn’t available to everyone all the time. Furthermore, some people still enjoy reading printed content, while for others it’s simply a more convenient way to ingest information. Therefore, if your content lends itself to being consumed offline, such as a travel guide, or study notes, converting it into a PDF or eBook makes sense. One of the items in a recent article on lead magnet ideas for growing your email list was to give away a free eBook of your best content. This eBook would be used as an incentive to persuade your visitors to sign-up and join your newsletter or email list. By creating multiple eBooks, each containing posts on different topics or from different categories on your blog you can develop a range of highly targeted lead magnets. If you look in the Kindle section on Amazon, you’ll see that there are eBooks being sold on every topic imaginable. With eBooks covering subjects from web design and WordPress, through to niche fiction and non-fiction best sellers, there is a good chance there might be a paying audience for your content. It’s not uncommon to find eBooks on Amazon that are essentially repackaged blog content. So if you feel your writing is good enough, why not think about how it can be repurposed into a commercial product. Amazon provides you with a large platform for growing your audience while also giving you a way to monetize your content. We’ll be covering some of the ways you can offer and deliver your eBooks towards the end of this guide, but now it’s time to look at the best WordPress eBook plugins for converting your content into a digital document. While it’s possible to create an eBook by copying and pasting your WordPress posts and pages into a single Word document and then printing the file as a PDF, this can be a messy and time-consuming process. Thankfully, there are a few plugins that give you the ability to select content from your WordPress website and then combine it into a single document – all in just a few clicks. Depending on the tool, these documents can be published in many formats, including HTML, PDF, and EPUB. You might still need to do a bit of editing or fixing here and there to get your eBook ready for public consumption. However, in most cases using a tool is much more convenient than manually creating an eBook. Therefore, these WordPress ebook plugins should be able to save you some time and effort when compiling your document. Despite some negative user feedback and a terrible average rating, the free Anthologize plugin seemed worthy of a test run due to its impressive set of features. Happily, I’m pleased to report that this plugin was able to combine multiple pages from my WordPress website and export them as a single PDF document. It’s also able to export content in a range of other formats. The process for turning your WordPress content into an eBook with Anthologize is very straightforward. After installing and activating this free plugin on your site, you can create a new project, which will essentially become your eBook. Each project can have multiple parts, such as chapters, and each part can contain multiple pieces of content from your site. The user interface for creating the eBook is very intuitive. To compile the eBook content, you simply display a list of all the posts and pages on your site, then drag and drop them into the appropriate part of your project. Anthologize supports posts, pages, and custom post types, so you should be able to add any standard content from your website to the eBook. The different pieces of content that you’ve added to your project can easily be dragged and dropped to rearrange them into the right order and position. 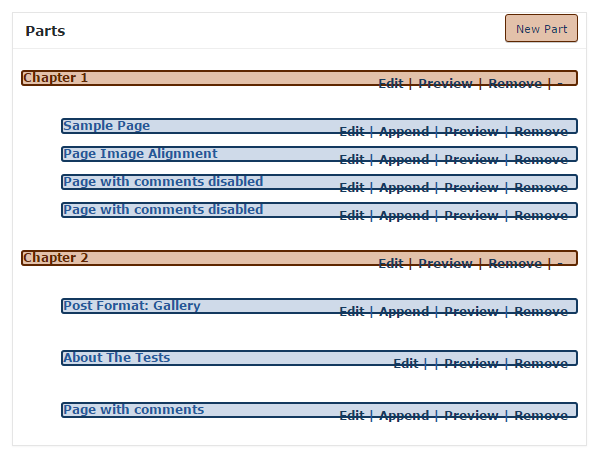 Then, when you are happy with the structure, you can export the contents into a single document. Before the final version is compiled, you have the opportunity to insert additional information to your eBook. This includes author, publishing, and copyright details. On the next screen, you can add a dedication and any acknowledgments, before selecting the format for the eBook. Supported formats include PDF, RTF, ePUB, HTML, and Anthologize TEI. Before the export takes place, you can set a base font size and choose a font family. You can also add a cover image and choose how to handle shortcodes. It’s impossible to ignore the negative feedback this plugin has received. However, based on my experience, it does a great job of exporting multiple WordPress posts and pages into a single eBook in PDF or EPUB format. Pressbooks offers free and commercial online services that will convert your content into a range of eBook formats. However, the underlying technology is also available as a WordPress plugin. Installing the free Pressbooks plugin turns a WordPress website into an eBook publishing platform, rather than simply adding some new features to your site. Therefore, you should install this plugin on a dedicated WordPress installation and then use that site as your eBook creation tool. A local instance of WordPress would be a suitable choice. The free Pressbooks plugin only works on WordPress multisite installations. Therefore, it might not be the best option for casual users. Pressbooks is certainly a powerful tool for publishing WordPress eBooks. So, if you are serious about creating a document in this format, it’s well worth investigating further. If you are willing to create the right environment for Pressbooks, you’ll be able to create eBooks in PDF, EPUB, MOBI, web, and XML formats. If not, their online service might be a better option. Instead of converting a selection of your content into a pre-packaged eBook, you could give your visitors the option of downloading individual posts and pages in PDF format. If you are publishing useful guides and resources, your audience could really appreciate this feature. Clicking on the PDF icon opens up the post in a new browser tab in PDF format, offering the option of saving the file or printing it. After installing and activating the plugin, there’s a handy link on display, which takes you to the settings page. From there you can choose where on your site to display the PDF and print buttons and in what positions. To change the button images you’ll need to upgrade to the pro version of the plugin, but for most users, the default button graphics should suffice. The pro version also gives you more control over which content the buttons are displayed on. If you want to display the buttons on specific pieces of content only, you’ll need to upgrade to the pro option. However, if you don’t mind displaying the buttons on all posts or pages, this is a simple but effective plugin for giving your visitors the ability to print individual pages or save them in PDF format. Now you know how to create an eBook, let’s look at some of the different ways you have of offering and delivering it to your audience, either through your WordPress website or a third-party platform. If you want to give away your eBooks for free, the good news is, WordPress makes it very easy to add file attachments to your posts and pages. Visitors can then click on the attachment link to start the file download. However, if you want a more sophisticated method of offering your downloadable files there are a number of free plugins that can help. These plugins allow you to store your downloads in a central location in your WordPress dashboard and then display them to your visitors in any number of locations on your site. You also get tools for organizing, tracking, and displaying the downloadable files. Some popular free plugins that make it easy to offer file downloads from your WordPress website include Download Monitor and Download Manager. Whether you want to manage your downloads more efficiently or get an insight into how often your files are being accessed, these plugins can provide you with the necessary functionality. As mentioned, free eBooks and guides can work really well as an incentive to help grow your email list. As we’ve seen, creating a PDF eBook or other formats is very straightforward. Therefore, if you already have the content, it makes sense to repurpose it quickly and offer it as a lead magnet. On the other hand, if you don’t yet have the content to convert into an eBook, with one of these plugins you now have an easy way to create one from scratch. An email marketing service like MailChimp will take care of delivering the eBook to your new subscribers while a good email optin plugin makes it easy to promote your eBook and handle sign-ups. Now you’ve created your very own eBook you have the option of selling it online. One platform you can sell your creations from is your very own WordPress website. When it comes to selling digital products from a WordPress website, you really can’t go wrong with Easy Digital Downloads. It’s a powerful free and easy to use e-commerce plugin. While it includes all the basic features you’ll need to get started, it can also easily be extended by installing one of the many add-ons available for it. Another popular option is, of course, Amazon. Listing your eBook on Amazon opens up a massive audience of book buyers. Amazon even gives you the option of offering a printed version of your book. However, Amazon has some pricing rules and strategies that might not be suitable for your eBook. Therefore, you may want to consider using a service like Gumroad, who offer a more flexible solution for selling products online. As we’ve just seen, there are many benefits to creating an eBook and these digital documents can take many forms. Producing an eBook, whether it’s a collection of your previously published content, or creating one from scratch, probably isn’t as difficult or as time-consuming as you might’ve first thought. When it comes to getting your eBook in front of your target audience, again you have many options. EBooks can be a great way to grow your business and market your services. Whether you give them away for free or sell them on a popular platform, eBooks have much to offer and could be the missing piece in your content marketing strategy. What type of eBook are you thinking of creating? How are you planning to produce it and get it to your target audience? Please share your thoughts in the comments below. When using PDF & Print by BestWebSoft in combination with Extra theme, and I want to make a PDF document, I do not only see the text of the page, but I also see a lot of Divi-builder shortcodes in the PDF document. Have you tested this plugin with Extra/Divi? This is very useful. Ebooks can be used to gain more subscribers as a reward to signup. Pressbooks is the absolute best. Hi Joe. I sell my ebooks via Kindle and from my own website using a plugin and often create content that is an extension of more information based on a blog topic or service line. There is 1 point that I would like to mention regarding using 3rd parties which I discovered to my dismay regarding payments. Some of your readers may be based in countries that don’t allow balances to be maintained in their PayPal accounts due to foreign exchange regulations or their country’s Central Bank policies. As a result, third party platforms that use the balance method of payment will not be able to complete the sale and you won’t get a notification of a failed sale either. I won’t go into details here but I had checked this point with a leading 3rd party platform before I uploaded my ebooks and they had assured me there was no problem – only to find out 2 months later that I had lost potential sales and then they admitted they could do nothing about it. If one is going to spend time and effort in marketing a passive income stream, better to do it on your own website. Hi! Great article, you gave me a great tip! I think i’ll use eBook to obtain the email address of my audience and to improve my brand reputation. It would be awesome if ET added a way to integrate Bloom and one of these pdf plugins, or as a feature to Bloom to require an email sign up to download the pdf version of content. That would be great Carla. However, you could create the PDF first, then add it to your post as a downloadable link. A simply solution: with Mailpoet plugin you should to create an automatic newsletter (PDF attached) that will be send to each user that subscribe the first time you mailing list. 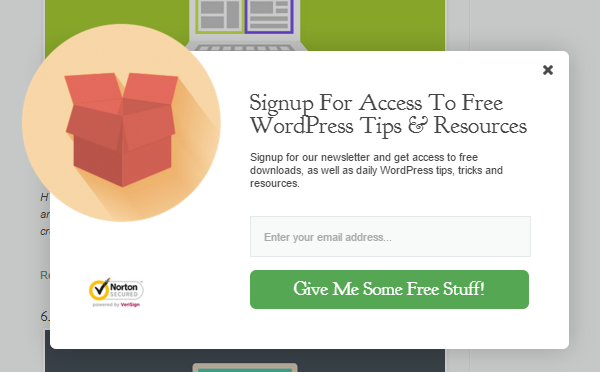 How can one create a newsletter opting before allowing to download ebook on your WordPress site? Thanks for the eye opener. Cheers. I couldn’t agree more with eBooks being a great way to grow the business and attract customers, but as long as high quality content is assured (which I think is the key that will add credibility and reliability to your work). This seems like an obvious point (as well as the design aspect), however, it doesn’t always necessarily happen. Very interesting post, thanks! Does elegangantthemes.com/blog also has a downloadable e-book? I cannot find a button or link for such anywhere…. Thank you, anyway… always great articles to read and learn! Not at the moment but that is a great idea.